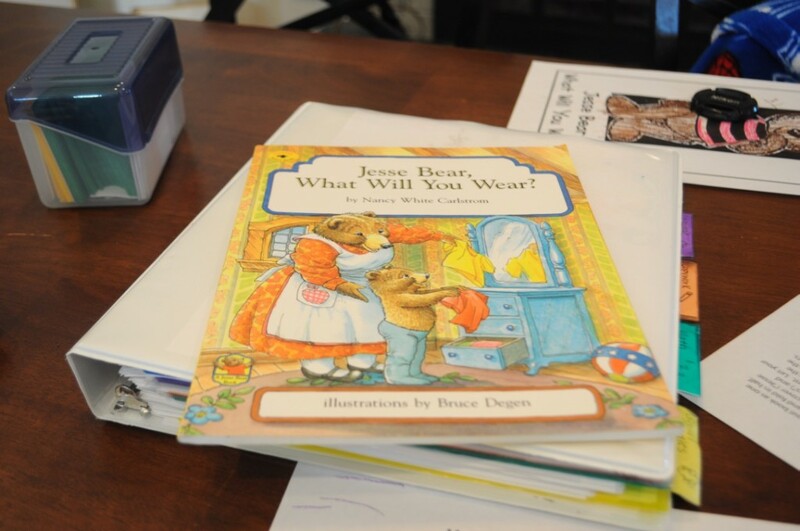 Before Five in a Row: Jesse Bear What Will You Wear? I have been experimenting with including Timothy in our school time. He’s so eager and since wintertime just lends itself to books, I thought picking up the Before Five in a Row Curriculum for a bit would be fun. Sam loved it when we went through it, and Timothy adores books as much as Sam does. So far it’s going pretty well. Of course, I can’t take as many pictures when I’m teaching two of them, but I thought it would be fun to share what I did snag this week. I decided to row Jesse Bear, What Will You Wear? first. We sort of rowed Corduroy a few weeks back, but it was more just reading the book everyday so it’s “not worth blogging about.” You can, however, see what we’ve done in the past with Corduroy here. Both boys thoroughly enjoyed this book. Jesse Bear is becoming a beloved favorite of Sam’s, a nice and familiar book and as though Jesse Bear is a friend he hasn’t seen in a while. It was fun listening to him recall much of the story before we ever even read the first page. You can see all the activities we did with Jesse Bear when Sam was younger here. 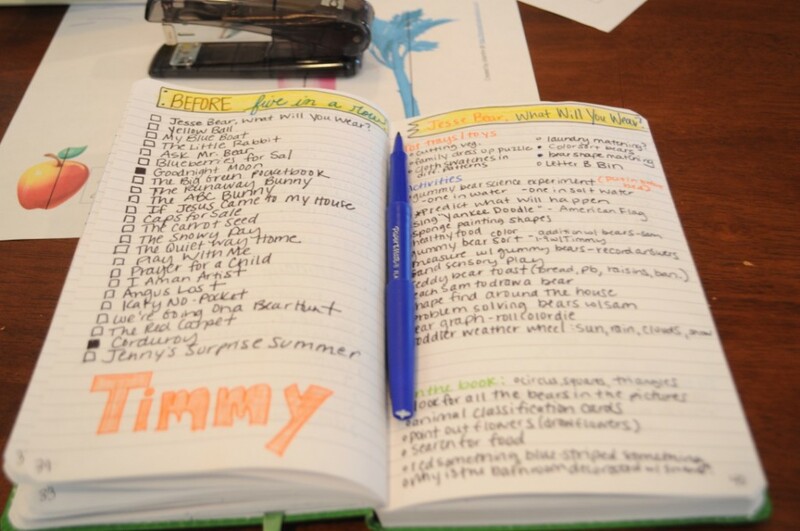 I have recently discovered Bullet Journaling and it is my new favorite way to plan lessons for the kids. I’m so in love. 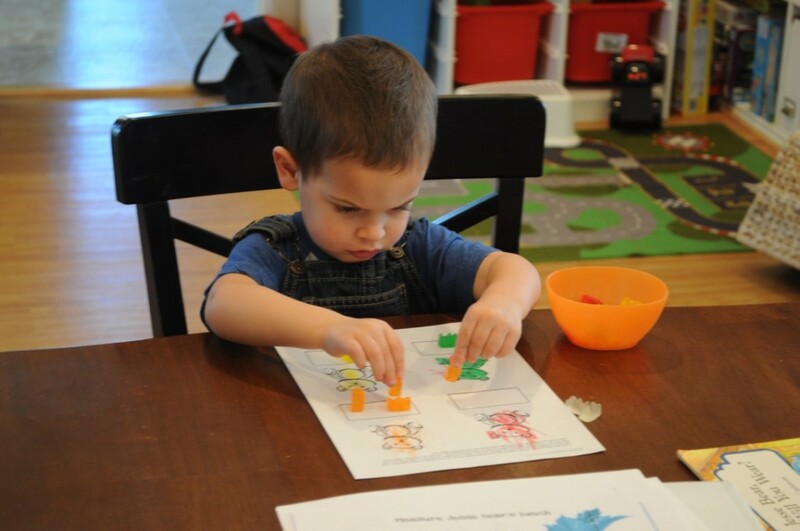 Both boys colored some bear worksheets and then sorted their gummy bears into the correct boxes one day. I had Sam (age 5) count each category of bears, write the number, and then tell me which one had the least and most. 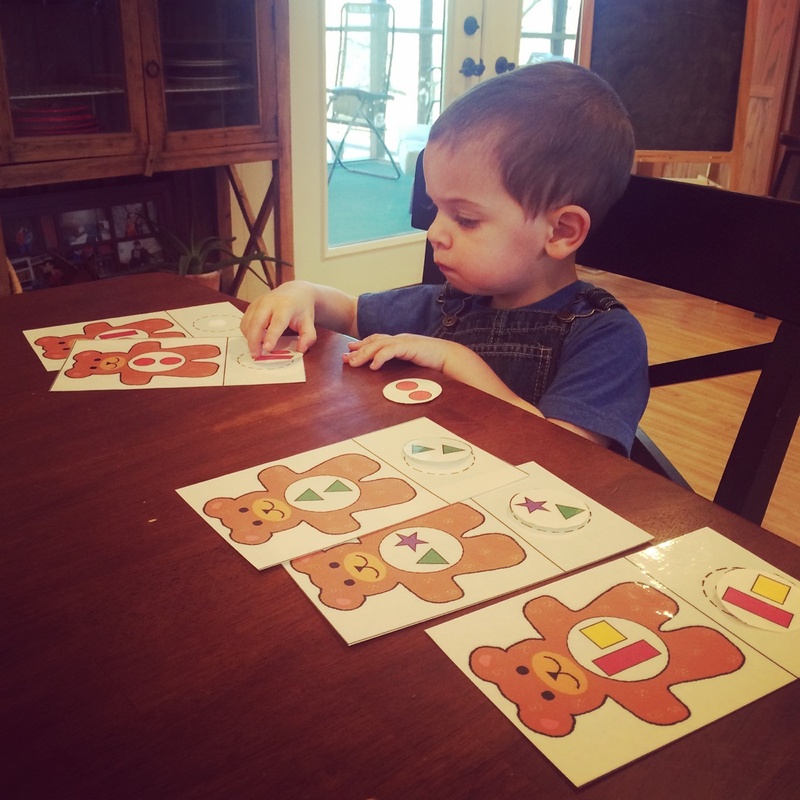 Timmy (age 2) just sorted his bears and worked on self-control. I told the boys not to eat any bears until they had sorted them all. They both did really well. I talked about the colors and counted each category with Timmy. I printed off a mini-reader for Sam. 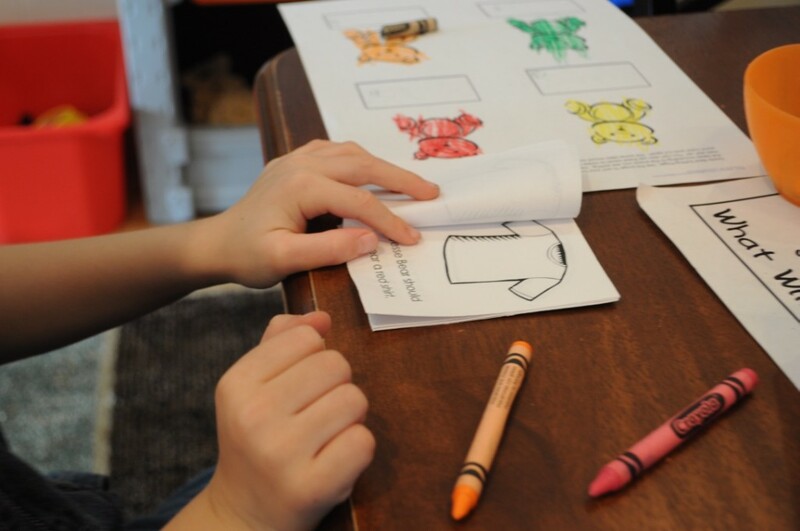 He had to read each sentence to know what color he was supposed to color each of Jesse Bear’s shirts. He loved this! By this point Timmy had totally lost interest and I let him just practice his scissors skills cutting random pieces of scrap paper. 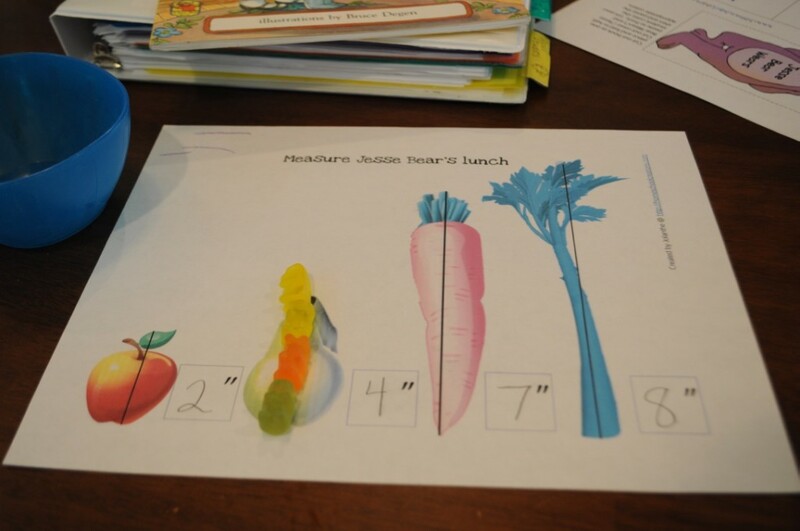 Sam and I used our gummy bears to predict how tall each vegetable was and then recorded the results. He really enjoyed this and it was a great introduction to measuring with him. I’ve been wanting to do this sort of exercise for a while, so it was fun to finally be able to do it! 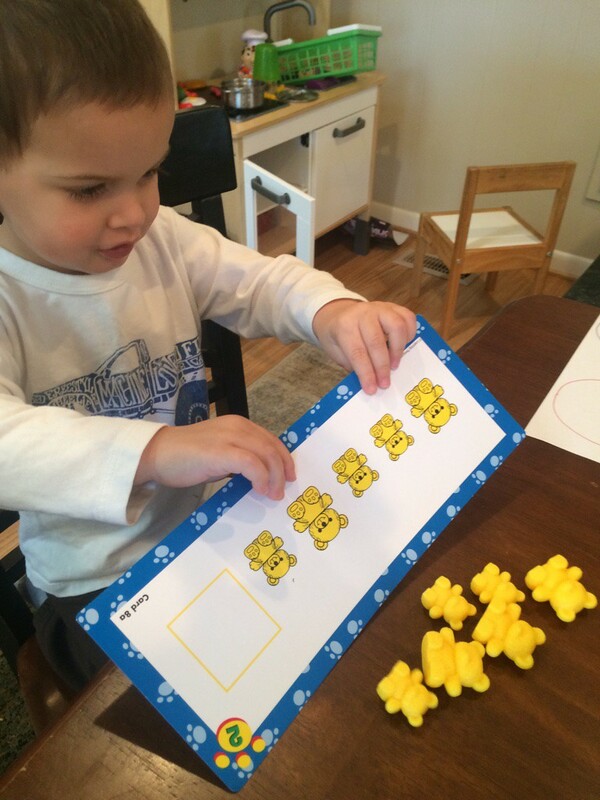 I pulled out our counting bears set and Timmy enjoyed these thoroughly every single day this week. While Sam did his everyday calendar work, Timmy would pull out the bears and play with them. On this particular day, he set the bowls up by himself and sorted the bears by color. 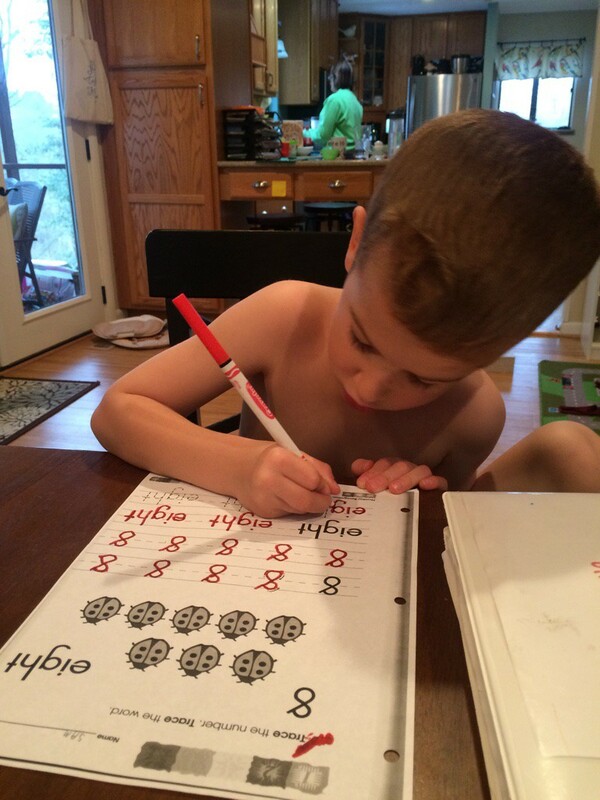 These worksheets have been Sam’s favorite part of school. They are perfect for reviewing what he already knows. I need to do an update on his calendar notebook because I have been SO PLEASED with it. So pleased! You can read the original post though here. 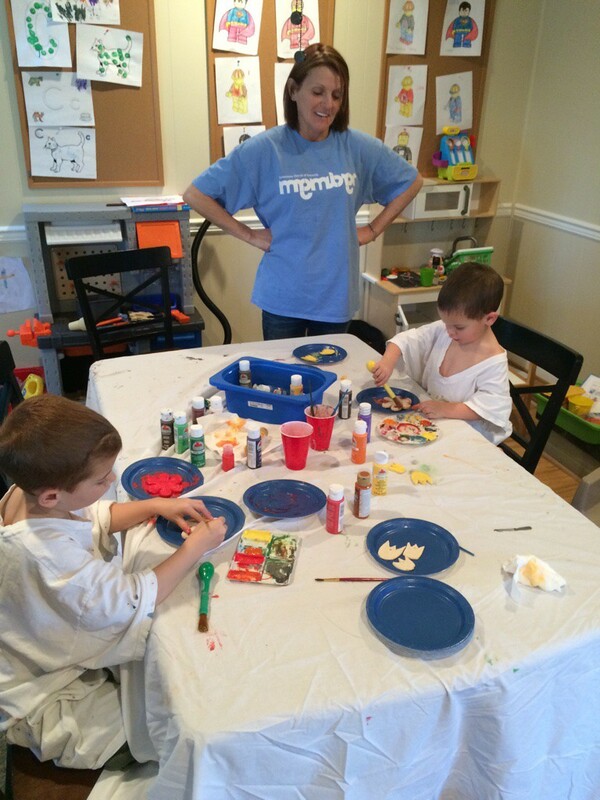 One day Nonnie joined the fun and worked with Timmy on colors and counting while I finished up with Sam. He loved this and really enjoyed counting by 5’s. Love his sweet little smile in this picture. 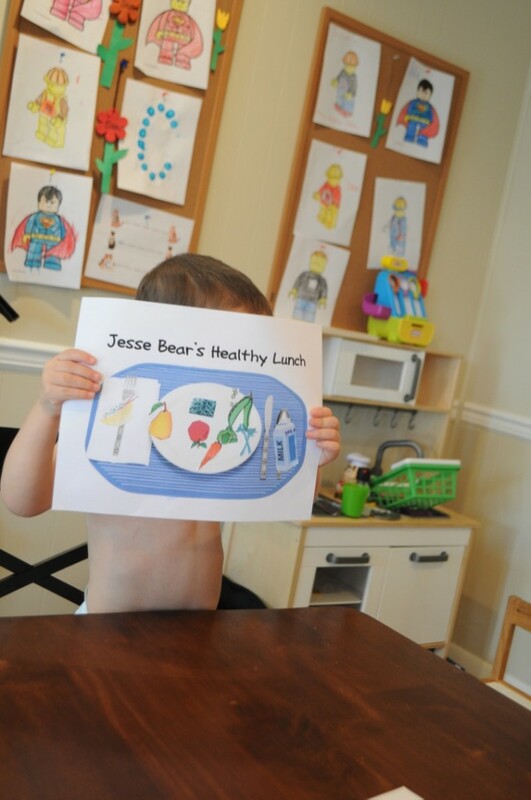 On another day, we talked about the healthy foods that Jesse Bear ate at noon. 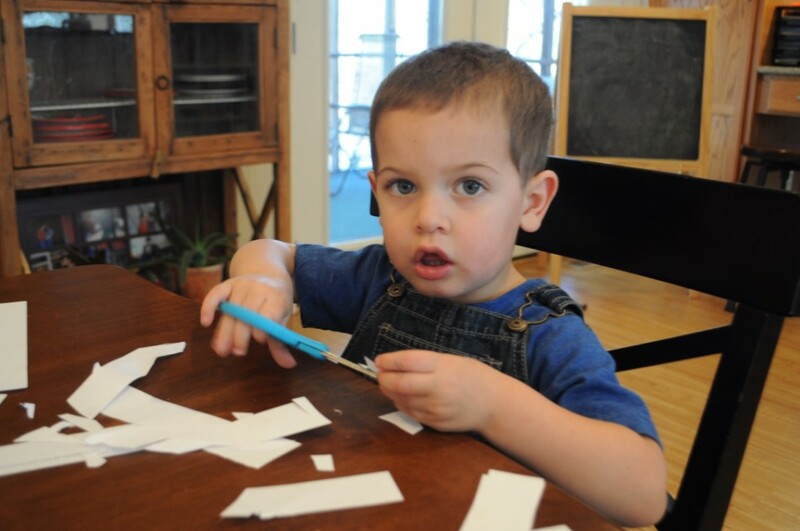 I was surprised by how interested Timmy was and Sam was very meticulous and precise with his scissor work. This is just one of those pictures I just had to snag. 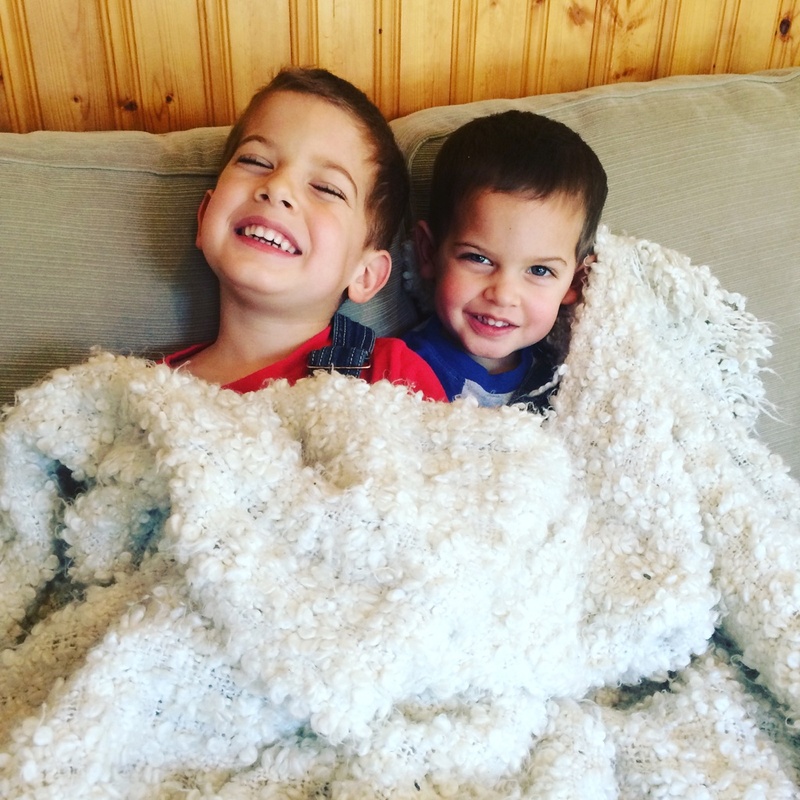 They said, “Mommy, can you please get us a blanket so we can cuddle?” I let them watch a movie because it was just too sweet to make them stop. They stayed like this for over an hour just resting and cuddling. 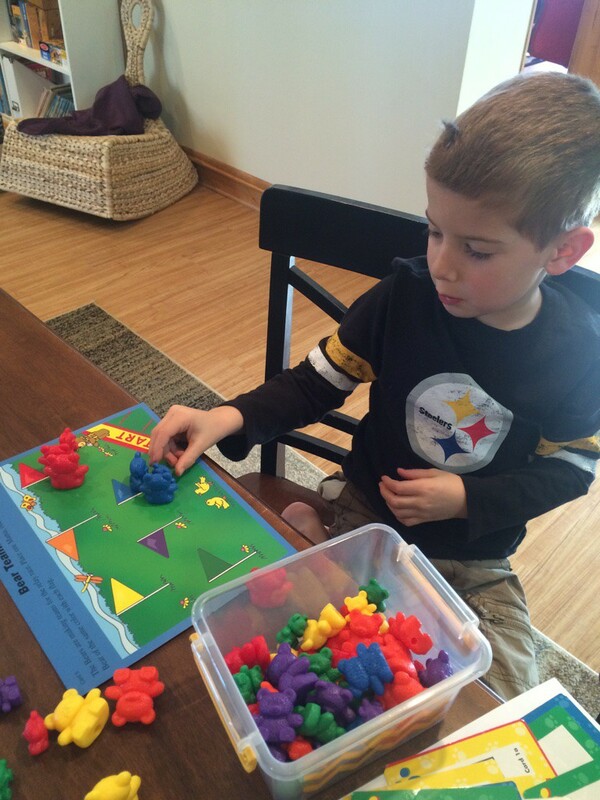 These little bear shape matching set has gotten a lot of love from this little boy. I’ve pulled them out before, but he wasn’t really ready for them. This time he breezed through the entire set! Sam also enjoyed the counting bears. I just let them choose some of the cards from the set at random. It was fun for them to get to choose! Nonnie helped them make some flowers one day. There are a lot of flowers in the book, so it was a fun little go along and it let them get a little messy with paints. This guy was in total heaven! 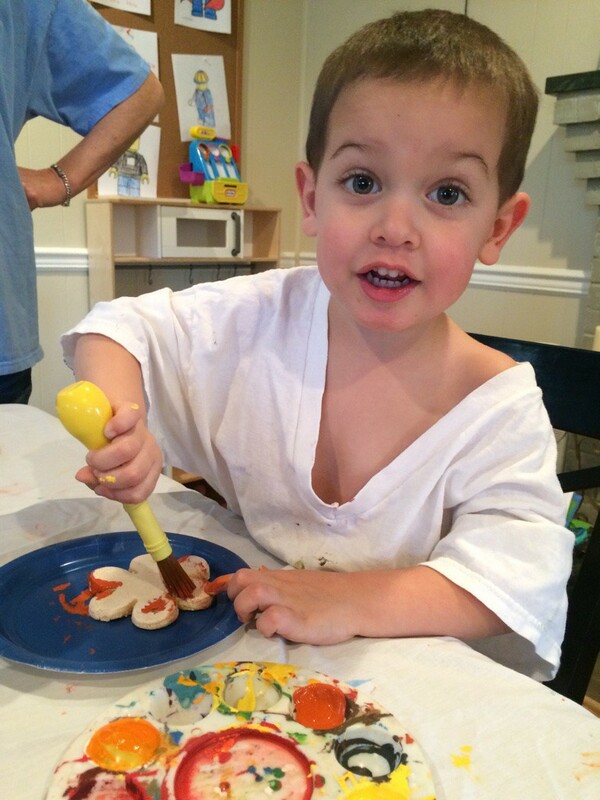 He loved painting and was very, very diligent about it. Again, more review worksheets. 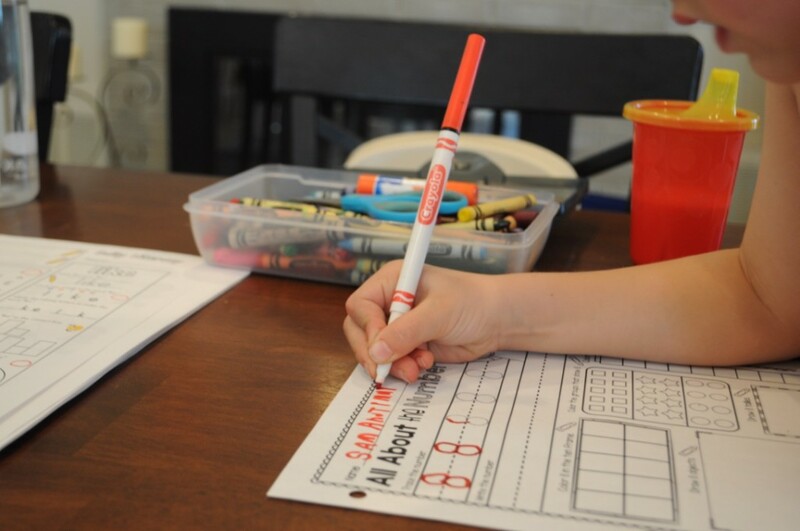 Using different writing mediums has been the key to making this time even more fun for him. 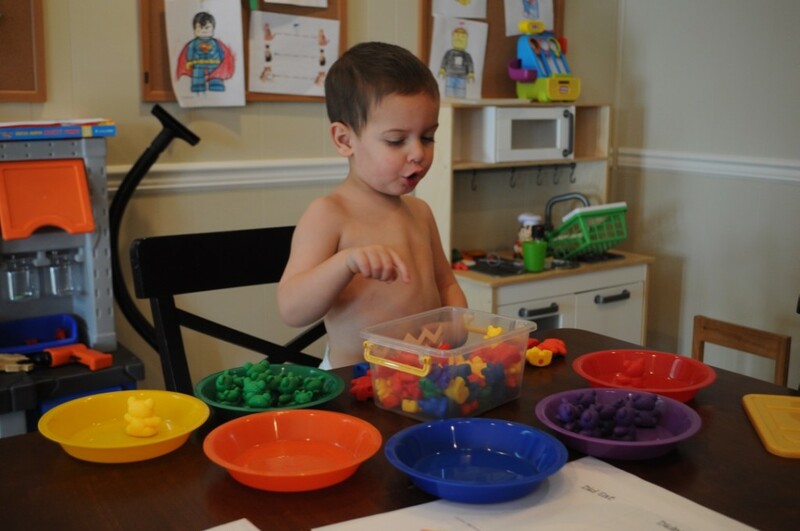 We love the Tot Packs from 1+1+1=1 blog. I pulled out the umbrellas simply because it was what was on top of my stack. We used our markers to color each umbrella. Then we matched the marker lids to the color on the paper. We cleaned up by matching the lids to correct marker. We do this every single week, and every single week it’s his absolute favorite thing. 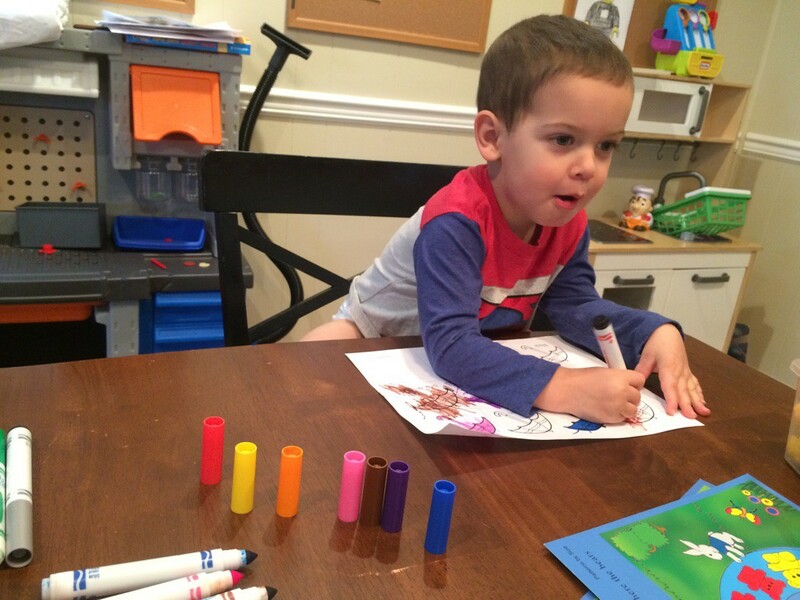 Markers are his favorite! It’s also great for reviewing the colors over and over again in one sitting. He loves it! Bear Family Dress-Up has been another favorite of Timmy’s lately. This little toy was what started the Corduroy readings and now Jesse Bear. Between this and the counting bears he was totally occupied when I needed to do focused work with Sam. All in all it was a really fun week. We didn’t do everything I hoped to do, but do we ever? 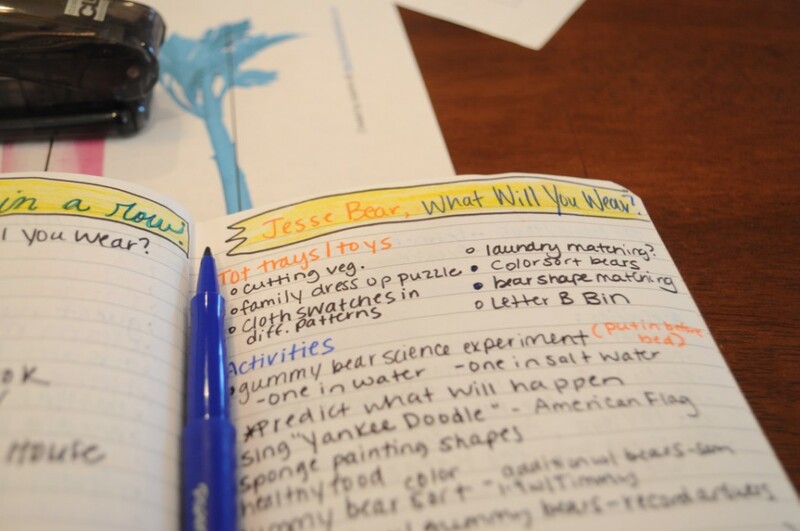 You can find more ideas for Jesse Bear here as well as links to all the printables I used. 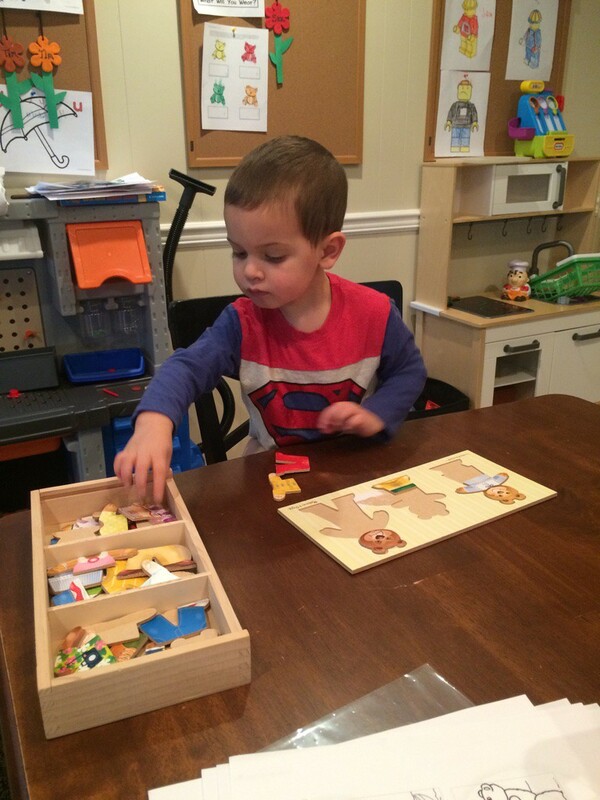 This entry was posted in B4FIAR, Homeschool, Read-Alouds, Samuel, Timothy by duttonla. Bookmark the permalink.